Every 2nd Saturday of the Month the Old Town Merchants Association (TOTMA) members are open from 10 am to 8 pm. We will have different activities such as entertainment, shopping, and dining. This is a family friendly event that would be great just for a night out with the guys, ladies, or a date night. 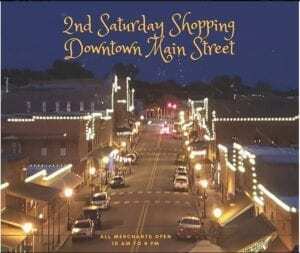 Come on down and check out all Downtown Van Buren has to offer.